The Jeep Renegade (BU) is a subcompact crossover SUV (mini SUV in Europe) produced by Jeep. It is built in Melfi, Italyalongside the related Fiat 500X, with which it shares its platform which is based on Small US Wide 4×4 architecture. It was first shown to the public in March 2014 at the Geneva Motor Show and mass-production started in late August of that year. The Renegade is the first Jeep product to be produced exclusively outside of North America and will sell in South African, European, North American, and Brazilian markets. The Renegade offers two four-wheel drive systems Active Drive I and Active Drive Low, both of which are paired with Jeep’s Selec-Terrain System. It also has an available My Sky dual panel removable roof. The My Sky can be either retracted like a standard sunroof or removed completely for a more open-air experience, similar to that of the Jeep Wrangler. 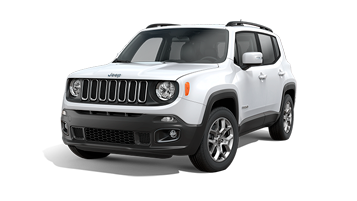 At one time it was believed that the Renegade would replace the Compass and Patriot in the Jeep lineup, but the Renegade has since been clearly identified by Jeep as being in a smaller class than the MK twins.